Can You Reheat Baked Potato? Can You Reheat? I made Twice Baked Potato a month or so ago for the first time the traditional way – in an oven. 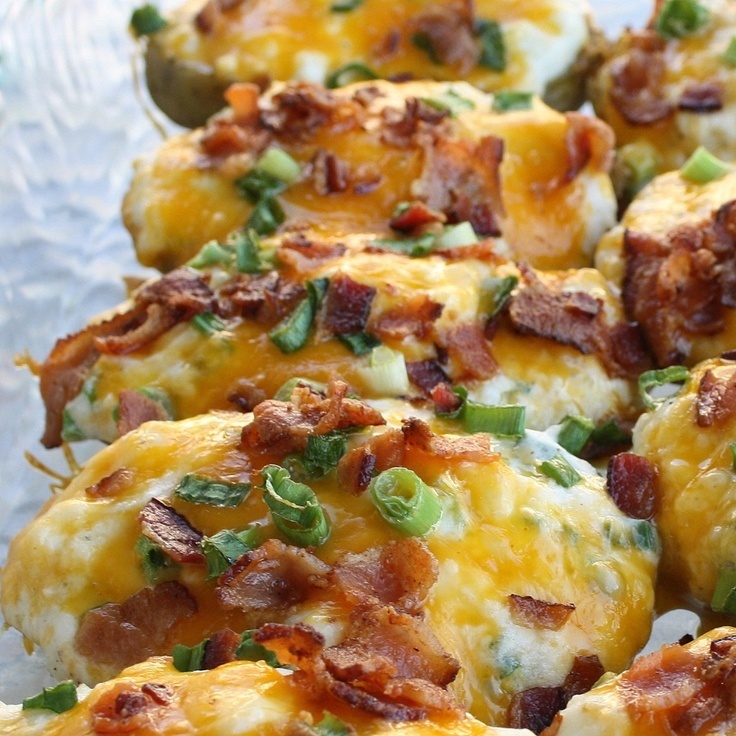 Just in case you don’t know, Twice Baked Potato is exactly what it says… A potato that’s baked 2 times. First you bake the potato, slice it in half, scoop it out, mix it with some toppings, spoon it back into the potato skins, top it with cheese and bake it again. And it’s delicious! But... Always looking for another potato casserole recipe! Twice-Baked Potato Casserole - for a skinnier version, use FF sour cream, turkey bacon, FF cheddar cheese and it turns out great. Always looking for another potato casserole recipe! Twice-Baked Potato Casserole - for a skinnier version, use FF sour cream, turkey bacon, FF cheddar cheese and it turns out great. First bake or microwave potatoes. If you are baking, first pierce potatoes with a fork and then bake at 400 degrees for 50-60 minutes. If you microwave, pierce potatoes with a fork, and cook 4 potatoes at a time using your baked potato setting or see see microwave directions here. The same steps you use (above) to reheat a baked potato in the oven or microwave also apply to reheating twice-baked potatoes. If you go with the microwave method but want a crispier skin, you can place your potatoes in the oven for a few minutes on the broiler setting, after you take them out of the microwave.